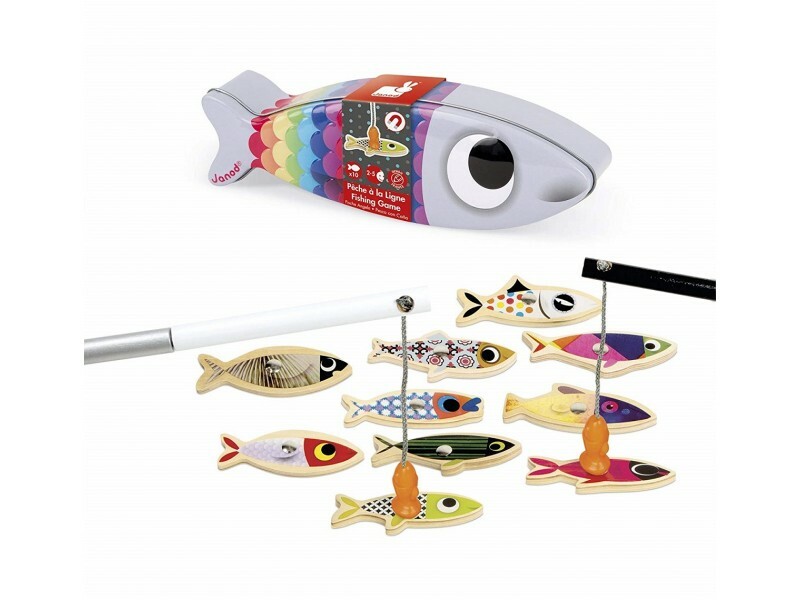 Not only the children, but the whole family will love to go fishing with this the colourful wooden sardine fishing game. 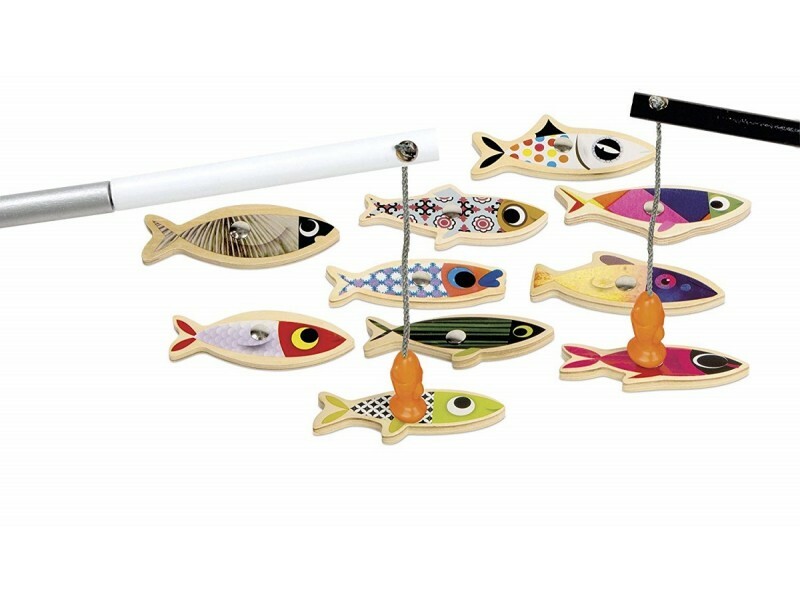 The game features 10 magnetic wooden sardines and two magnetic fishing poles. 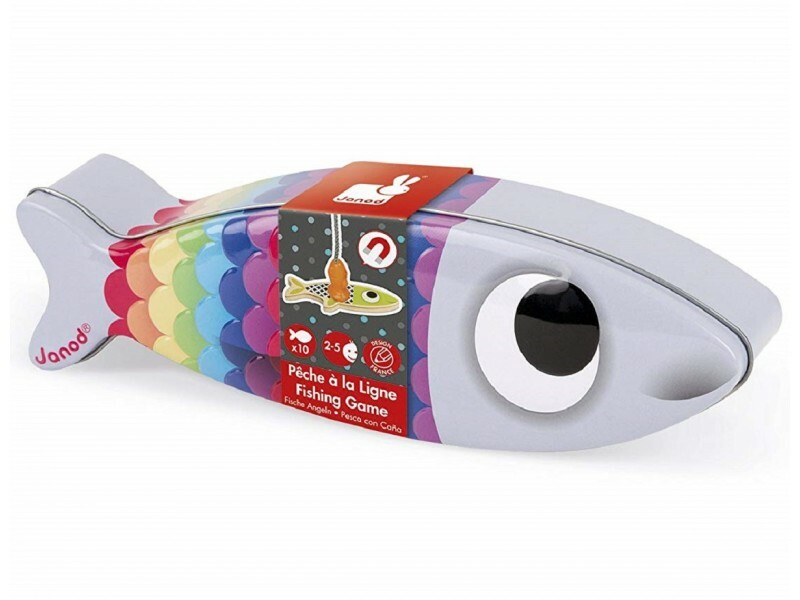 Also incuded is a cute fish shaped box to store everything away in. 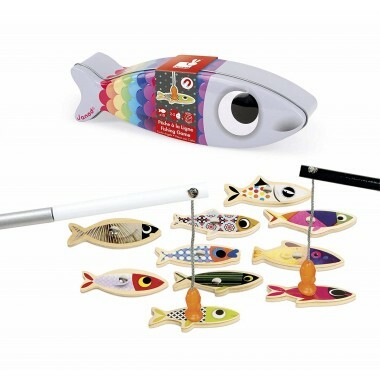 This well known and much loved game is great for hand-eye co-ordination and fine motor skills.